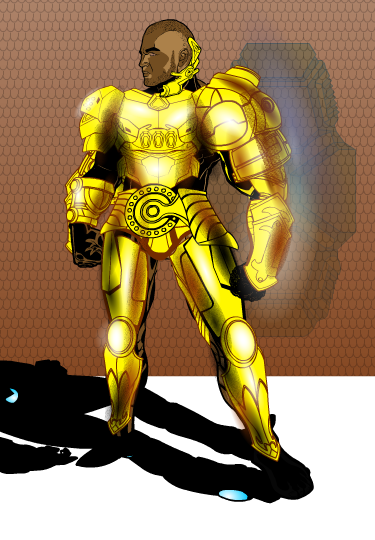 Well heres my Golden Guardian. Don’t know if it can beat Kaldaths though…. 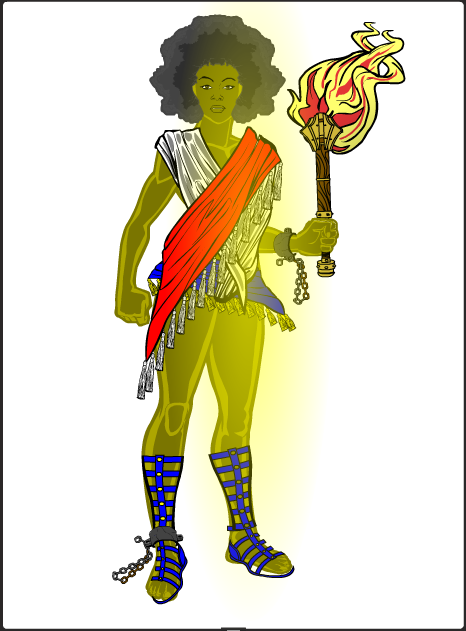 @Kaldath- Yeah, probably should have mentioned what their powers were….. but I now think it’s more interesting if you guys guess. 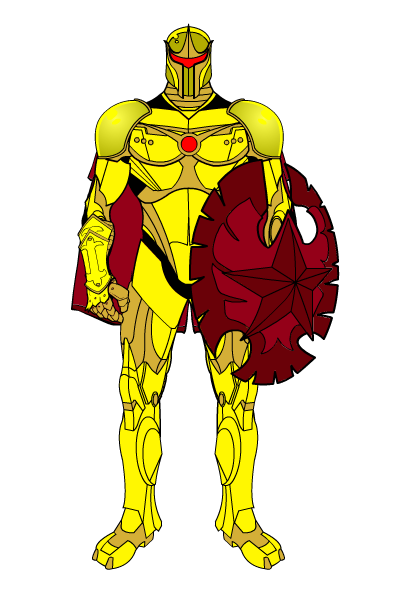 Though funnily, a few designs of GG did have a shield. 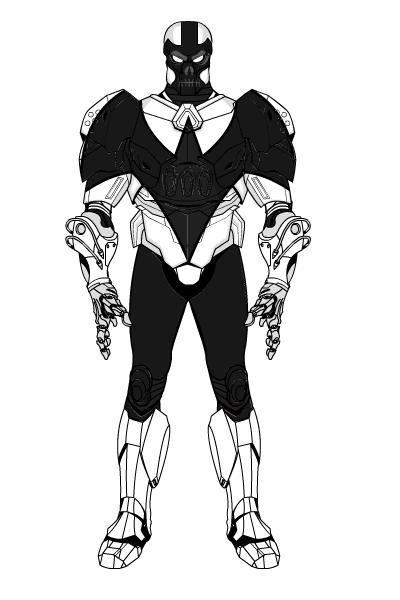 But I didn’t include that in the brief because it felt like a bit of a Captain America rip off. I guess I’ll take a whack at it. itto that ,Really cool design and backround kaldath.It looks like it was done in another program it’s so good.Of course I realize that is not the case!Good stuff! 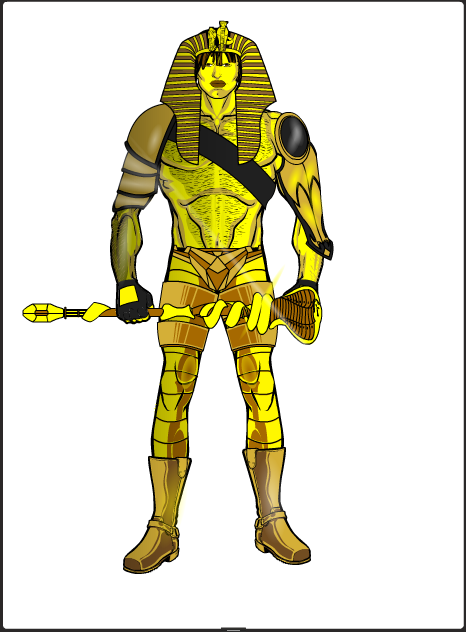 I thought I’d throw my hat into the ring as well with my take on Golden Guardian. Oh Captain, my captain should be coming later during the week. Ok people, you have one day left if there are any more entries out there. 24 hours remaining thank you teams. Oooh men… This must be very hard to judge due to the awesomeness of the entries! Great work from everybody! I just saw this contest for the time yesterday and browsed the thread. Here’s my take on Golden Guardian, and though that contest is long over, (I wasn’t even on Hero Machine at the time), I would like to show you my take on your Lady Liberty. 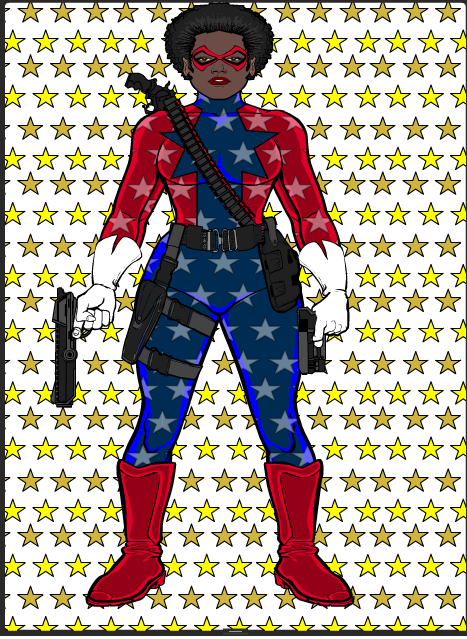 One character is my Star Spangled Sister recolored and the next is my Liberty, also recolored for your character. Hope you like! Ok everyone, contest closed. Very hard this one, there isn’t one entry I don’t like, but there are certainly standouts that must be mentioned before we get to the winner. 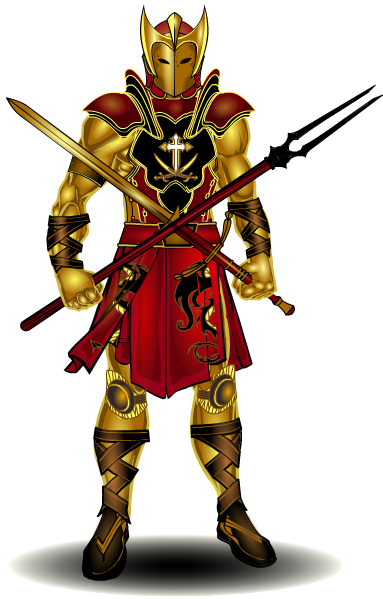 I absolutely loved the pose on Kaldath’s take on the Golden Guardian, but I preferred his take on Captain (or the Predicator as he very nicely renamed him), because the costume was so different from the original. I think Scatman has got some sort of honourable mention in every one of my contests he’s entered, and today is no exception, although I have to admit I preferred the totally gold version that hhe didn’t submit, but the shading is enough to make this stand out. But the over all winner is……Vampyrist. 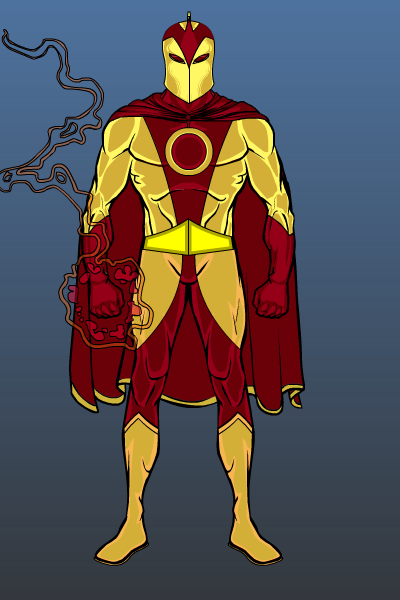 His entry was just the right blend of classic superhero and modern functionality. So, over to you now V, give us something you want me to do for you as you prize. Thanx for the H M Vampyrist you rock as always,congrats! !I had soooo much fun with this one,I need to enter more! 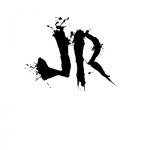 PS JR congrats on the moderator posish! Thanks guys and JR, congrats on the modship, don’t let the power go to your head. Remember madness is like gravity, all you need is a little push. 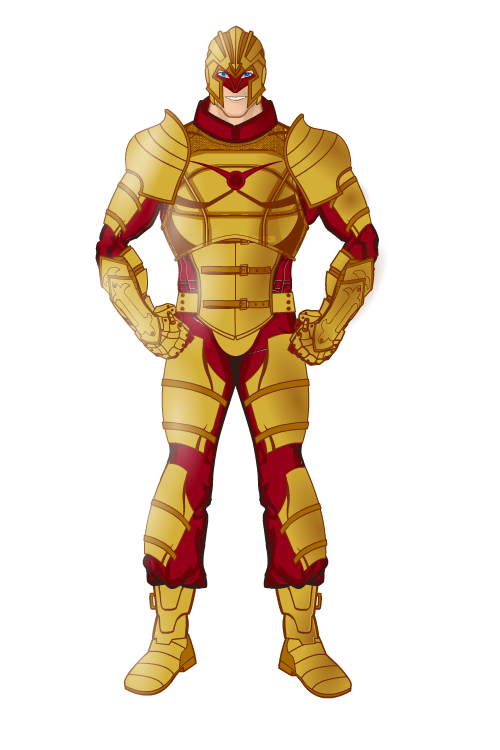 As for my prize, I’d like to see your take on my flagship character Alpha. 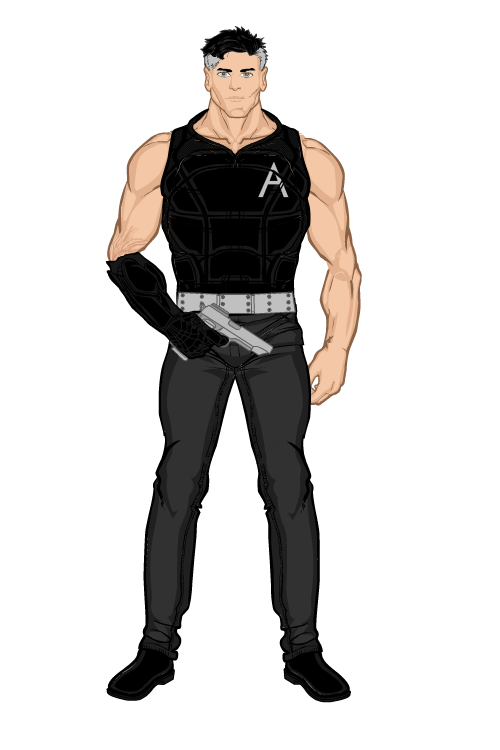 His actual costume is up to you, though it should keep the silver/black color scheme, be somewhat practical/casual and have the alpha on the costume. 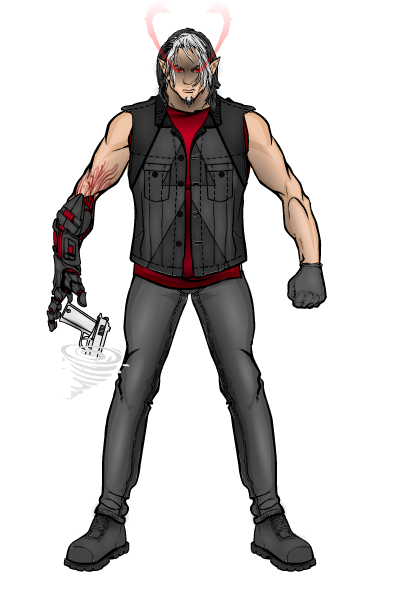 Also the robotic forearm/hand should be there as well, though its appearance and color can be changed. I can’t wait to see what you can come up with. Ok, here you go V. I did a bit of research and I was intrigued by the fact that you said he was a half demon but nothing about his appearance would suggest it, so that was what I latched onto. Hope you like it. The energy coming from his eyes only activates when he’s using his powers (which I tried to represent visually) and they’re meant to resemble demon horns. And I took a bit of liberty with the Alpha logo. Anyway, going to try something different this week. 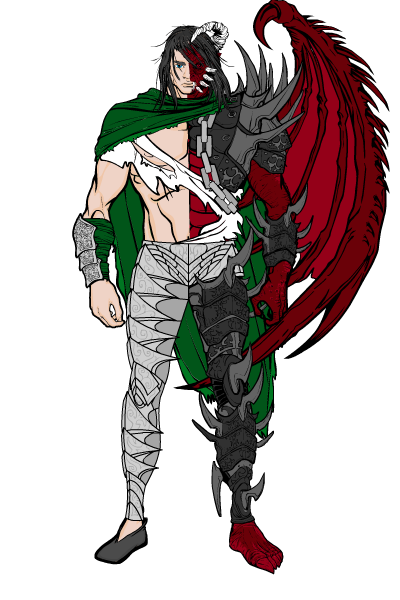 I’ve been working on a redesign of my half demon character Damien Newark (pic below), but I can’t get the shading to my satisfaction. Now there are a lot of fantastic shaders out there so, for the chance to win a redesign of one of your characters by me, I would like you guys to have a crack at it. The text is in the spoilers below. Don’t worry if you can’t do shading, you can still have a go. And if you still don’t think you’re up to it, I’m now in charge of the Character Design Contests on the main blog and there’ll be a new one of them up on Monday. This reply was modified 3 years, 1 month ago by JR19759.